This Hana & Haleakala – Early Bird Helicopter Tour offers generous views of Haleakala’s magnificent crater, travel through Maui’s most remote areas with views of Hana Town, the Seven Pools, fabulous coastline waterfalls and world famous Ho’okipa windsurfing beach on the return. Open Seating: Up to six-passengers, seat assignment determined by weight and balance. First Class Seating: Passengers enjoy “First Class” seating next to pilot, with extra arm and leg room. Maximum combined weight for two passengers on FX STAR First Class is 400 lbs. Restrictions: Flight patterns and specific sights are subject to weather. You will be weighed at check in (if given weight is substantially lower than your actual weight, you may get bumped from the flight and you still have to pay for the seat). No scuba diving 24 hours prior to departure. • Children: A child under 24 months of age may fly at no charge and must sit on adult’s lap. Please provide child’s weight at time of booking. Children 2 yrs. and older must occupy a seat with seat belt on and are charged full fare. 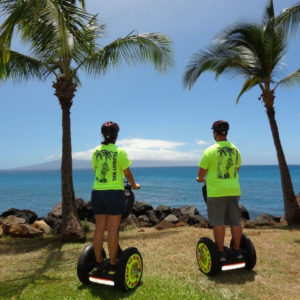 Maui originated over two million years ago by one extinct volcano “the West Maui Mountains” and one dormant volcano “Haleakala” raising 10,023 feet above sea level. Observe triple canopy tropical rain forests with vibrant green valleys. Glide over rugged towering sea cliffs along the windward coasts (Molokai has the world’s tallest sea cliffs). Hover next to towering, plunging waterfalls and hidden valleys.